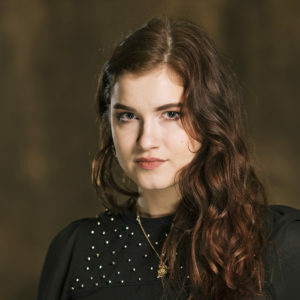 Naima Schmidt started writing off-theater plays in her teenage years and studied acting for a year, but soon realized that film was her preferred medium, by studying Theater, Film and Media studies at the University of Vienna, which she finished with a B.A. She directs and writes her own independent short films and music videos (past ones include DELIVERY (2016) and SHUT UP (2017) which both earned her a jury award at the Video&Filmtage) and participated in projects like KINDER DER TOTEN (Dir: Kelly Copper & Pavol Liska), an adaptation of the novel of the same name by Elfriede Jelinek. She was part of the Let’s Cee Talent Academy of 2018, and won the award for best short film made in the Talent Academy. In April 2018 she joined Witcraft Filmproduktion.